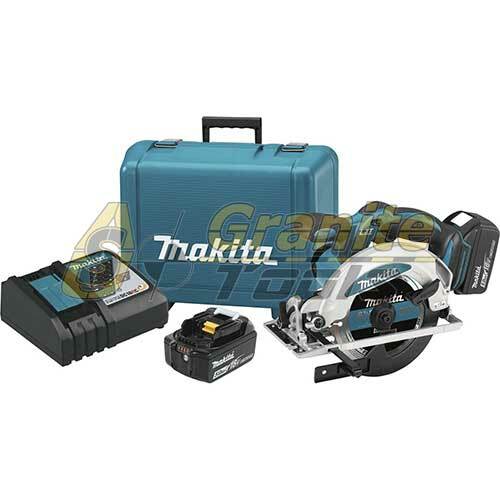 7-1/4" Makita Hypoid Saw Model 5477NB is designed for less maintenance and increased productivity it withstands jobsite abuse and it offers the best fit and comfort, this Hypoid Saw is ideal for framers, builders, masons and contractors. 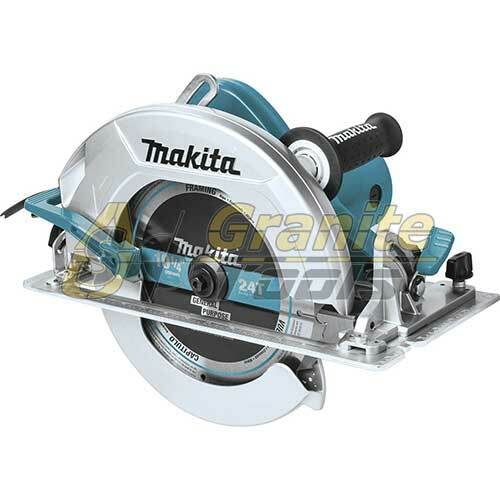 The 7'' MAKITA Disc Sander Model GV7000C Lightweight (4.6 lbs.) made for Comfort and Control, makes quick sand-jobs with less fatigue. 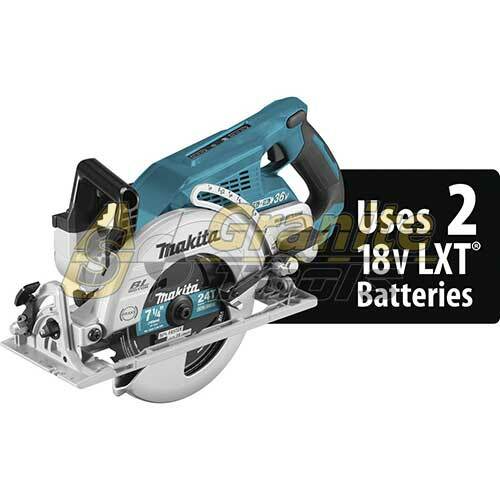 7" MAKITA Disk Sander 9218B it is designed to get the best finish possible on any job done with its powerful motor, its lightweight for better maneuverability and motor-over-pad design for balance and control. ALPHA Countertop Trim Kit created to work with pre-fabricated countertops that need a trim for a custom fit. 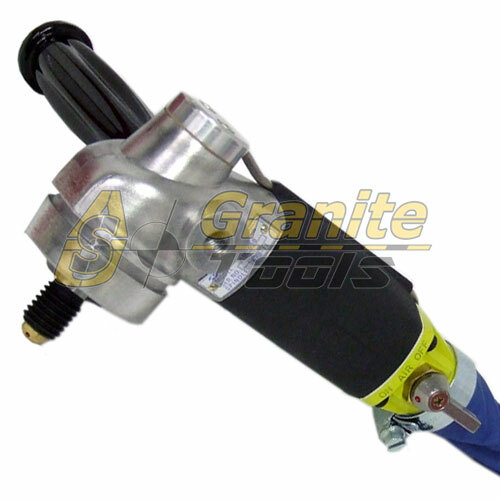 combines the AWS-125 Wet Stone Cutter with a universal carriage assembly and a 4’ guide rail to create a clean, straight cut. 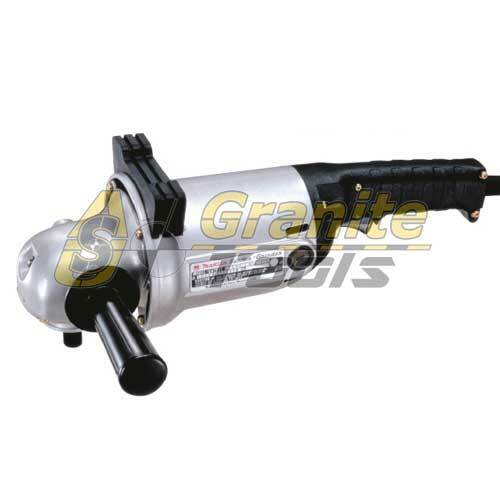 Alpha Pneumatic Wet Polisher AIR 658 a high performance, pneumatic polishing tool designed for continuous production use. 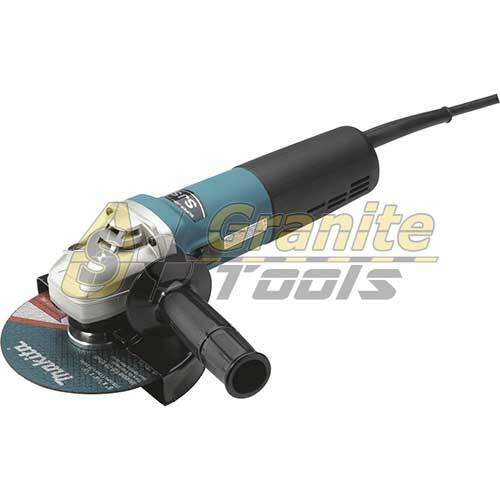 With a speed of 3,500 RPM and convenient size, this polisher is the ideal polishing tool for the professional shop worker. Alpha Pneumatic Wet Polisher Mini AIR 300 is designed to use in tight corners and for bowl polishing. Works with 3HP compressor. Only weighs 1.6 lbs. Every stone fabricator should try the new Alpha Variable Speed Wet Polisher VSP-120, to achieve the best performance and high quality results. 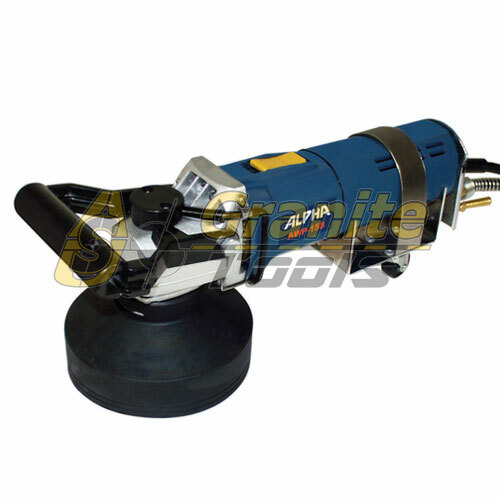 The ALPHA Wet Polisher AWP-158, is designed for polishing, shaping, core drilling and light grinding. with a 7.8 amp, 800-watt, 3,000 RPM machine is a powerful workhorse suitable for use in the shop or on the job site. The Alpha Wet Stone Cutter AWS 110 is more than a saw, it is a complete cutting system that can be used for cutting, scoring, profiling and more. It is designed and manufactured with the highest quality standards, as are all Alpha Professional Tools® products. 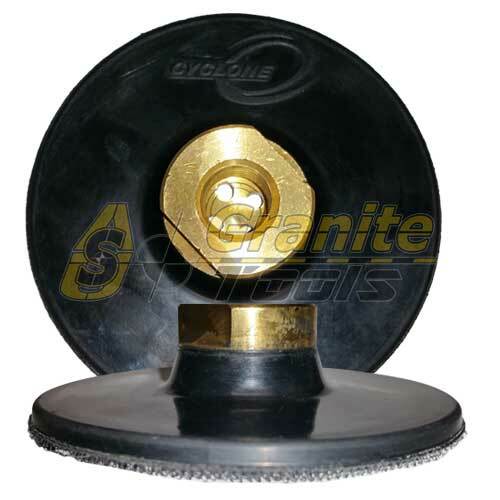 Cyclone Pneumatic Wet Polisher MVP, First air polisher ever to be completely assembled by hand, Will not lose power even when pushing hard on the stone. Male Diskit Blue 5/8-11 Connetion 5" Diskit threaded Foam Rubber Backup Heads. Tough and flexible polyester urethane foam body engineered for maximum tensile strength and enlogation. 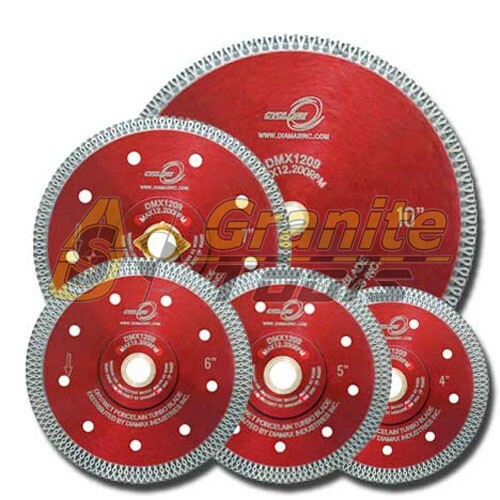 For use on most Q.R.S-backed or self-adhesive grinding and polishing discs. Maximum 10,000 RPM, Flexible edge allows pad to conform to surface contours. Female Diskit Blue 5" Diskit threaded Foam Rubber Backup Heads. Tough and flexible polyester urethane foam body engineered for maximum tensile strength and enlogation. 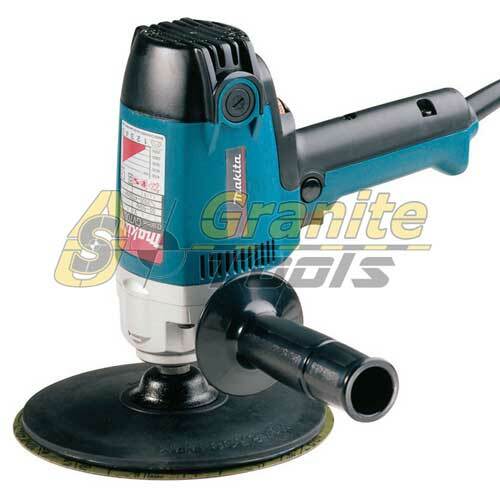 For use on most Q.R.S-backed or self-adhesive grinding and polishing discs. Maximum 10,000 RPM, Flexible edge allows pad to conform to surface contours. FLEX Surface Polishing Machine LCP 1703 VR Engineered for Versatility, with multiple options for pads, grit, and speed, can effectively grind, hone and polish concrete, granite and marble. You can complete everything from detail work to large-scale projects. Flex Wet Polisher LE12-3-100V with a powerful motor, electronically controlled variable speed, dust and rust protection for long service life, bail handle designed for comfort and a firm grip, made for safe working is one of the best wet polishers on the market. Flex Wet Polisher LW 1503 is the most demanded wet polisher in the industry. It is a compact light weight, portable and powerful workhorse, frequently used to polish surfaces and edges of natural stone. 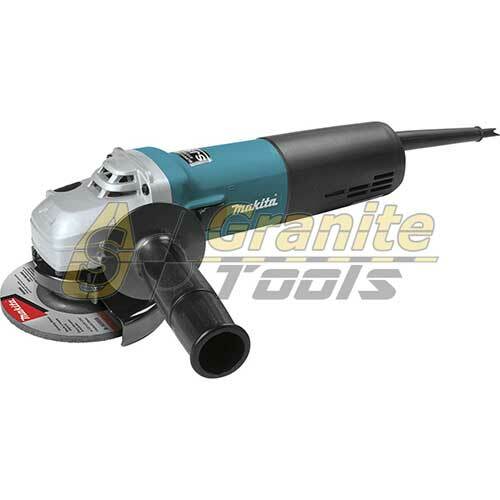 Flex Wet Polisher LW-1509 single high speed WET 4-1/2" grinder designed for maximum material removal of concrete or natural stone, it is the fastest WET grinder in the market, intended for all heavy duty stone grinding applications. The FLEX Wet Polisher LW 603 VR is the most cost-effective and sophisticated Variable Speed WET polisher. GS-40 Saw Laser Primarily designed for bridge saws and CNC equipment, but it can also be used for band saws and permanently mounted table or panel saws. 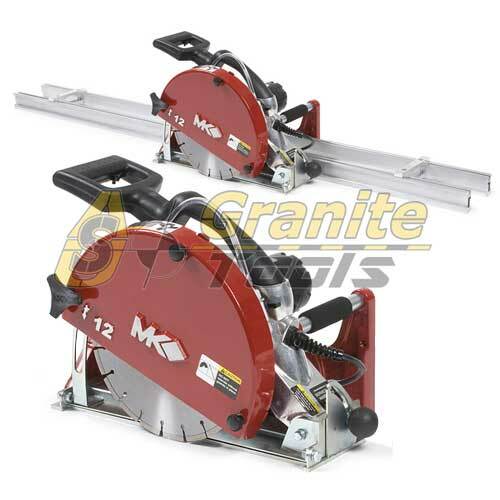 This will enable you to position the work piece, slabs or wood and know exactly where the blade is going to cut. 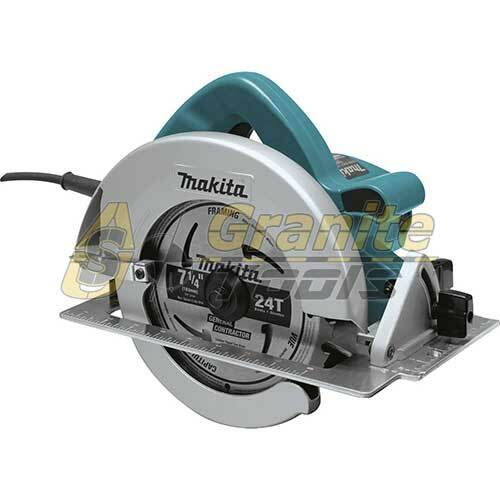 Makita 4-3/8" Masonry Saw 4100NH is powered by a 12 AMP motor, with 14,500 RPM and a cutting capacity of 1-3/8". 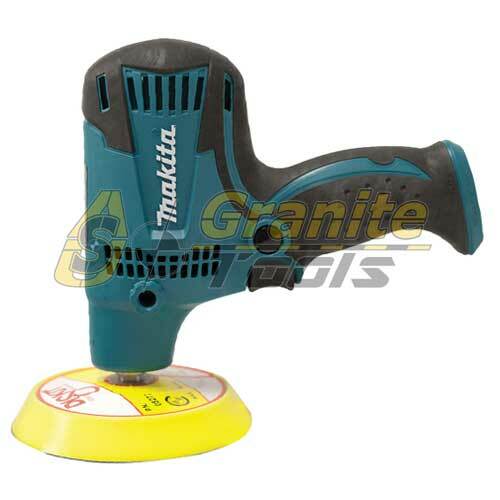 Easy to adjust depth gauge allows user to cut up to 1-3/8"
Makita Wet Polisher Model PW5001C, precision engineered for a professional finish, soft start feature for smooth start-ups, variable speed control and Electronic speed control under loads enables user to match the speed to the application. 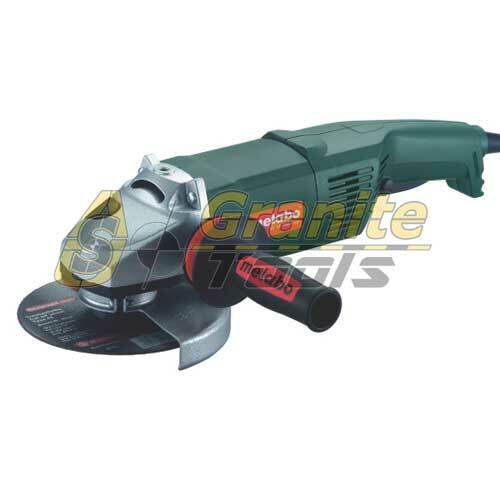 Metabo Angle Grinder WE 9 125 INOX PLUS Ideal for processing stainless steel due to high torque and adjustable speed, with dust-protection technology for an extremely long tool life. 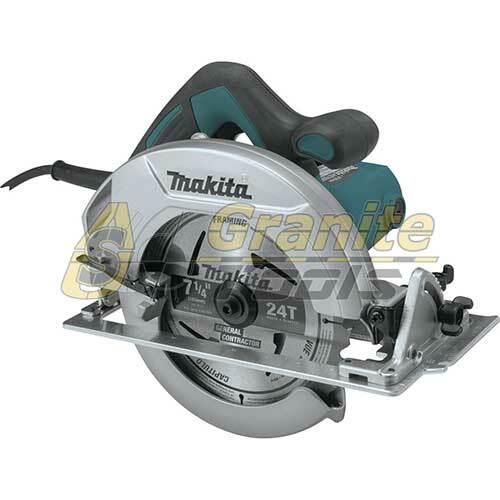 [notice animation_delay="0" animate="" ]This product has been discontinued and replaced with this new Angle grinder[/notice] Metabo Angle Grinder Quick WE 9 125 with Metabo marathon motor, dust protection for durability, safety mechanical decoupling in case of jamming of the disc and Side handle with Metabo Vibra-Tech (MVT). 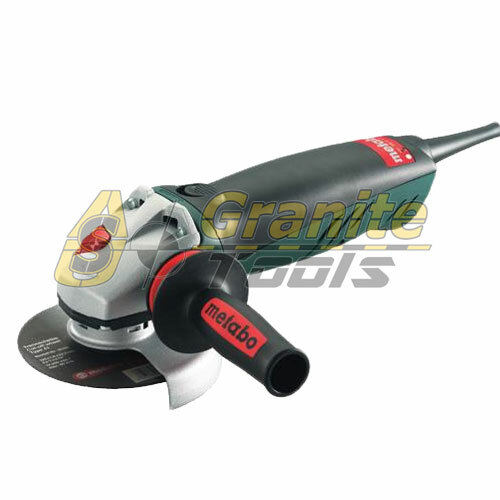 Metabo Wet Polisher PWE 11 100 designed for wet processing of granite, marble and other stones, powerful motor with dust protection for extra durability, with electronic controlled speed that remain constant under load. Stone Flexible Back-Up Pad 3" is Velcro backed. 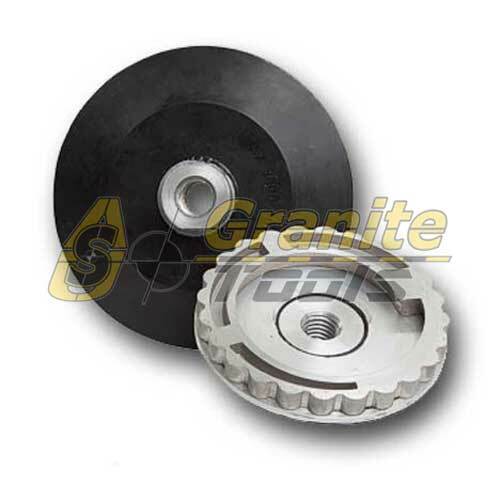 For Grinding Profiles or Curve Surfaces in Stones. Flexible rubber construction. Available in 3", 4", & 5"